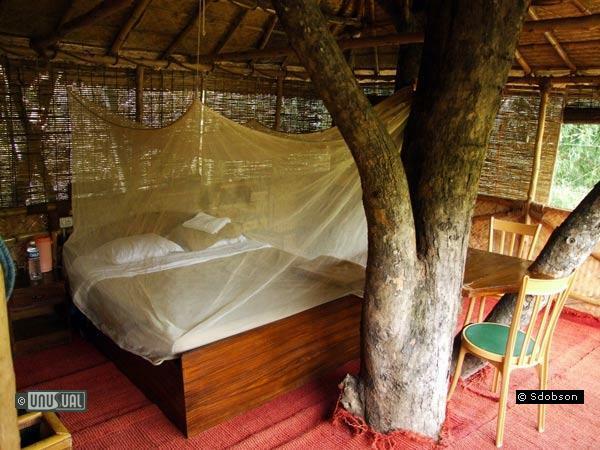 This treehouse resort is part of a well maintained base for groups wishing to visit the region with it’s amazing wildlife viewing opportunities. Owned by one of India’s top National Rifle champions – and recently famous tiger tracker Nawab Shafath Ali Khan, this property is his family summer retreat, away from the heat of his home in Hyderabad. With plenty of shady trees it is a peaceful, back-to-nature location. 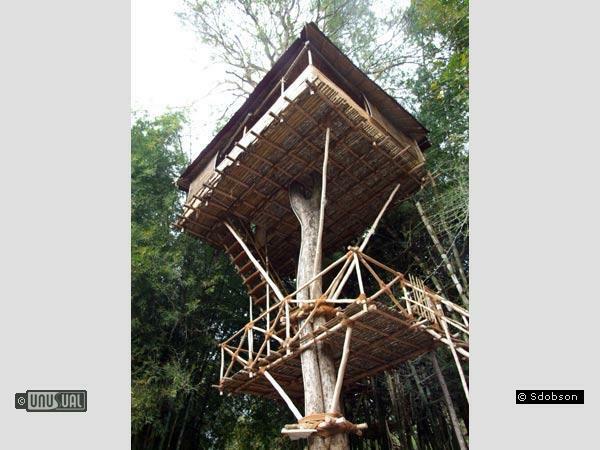 It will add a special memory to your stay in the region and offers a choice of 6 different treehouse options. 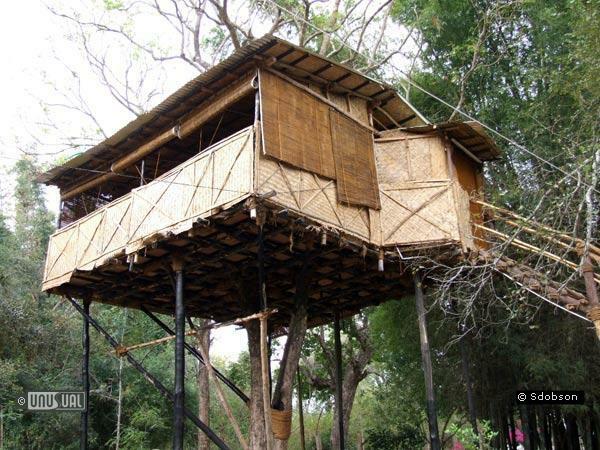 Nearby are world renowned game reserves, where wild elephants roam. Check out the elephant rehabilitation sanctuary and elephant nursery where you will often see orphaned baby elephants being cared for. Breakfast and Dinner are served in the main restaurant building with Indian food delicious and plentiful. The team are very friendly and work hard to please their guests. 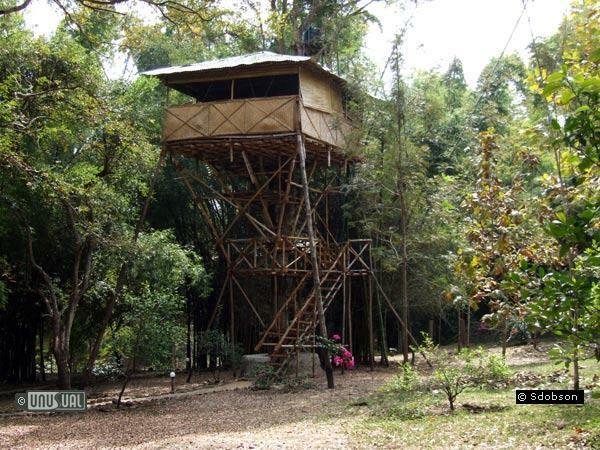 If you're planning to visit the nearby wildlife reserves, this resort offers something different to enhance your trip. 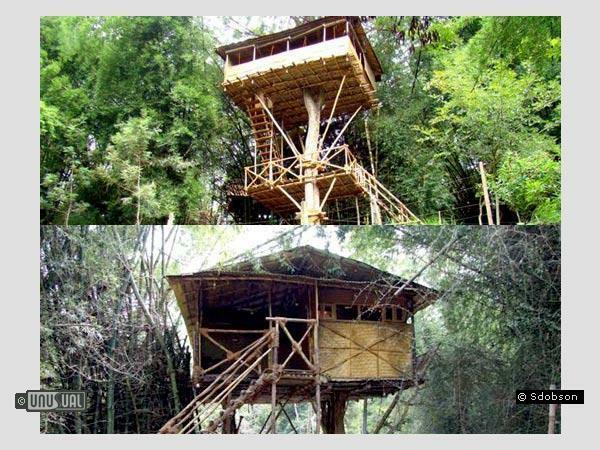 The 6 treehouses at Safariland are around 5 metres high, built from local materials and bamboo, including a double treehouse with 2 rooms in the same tree. 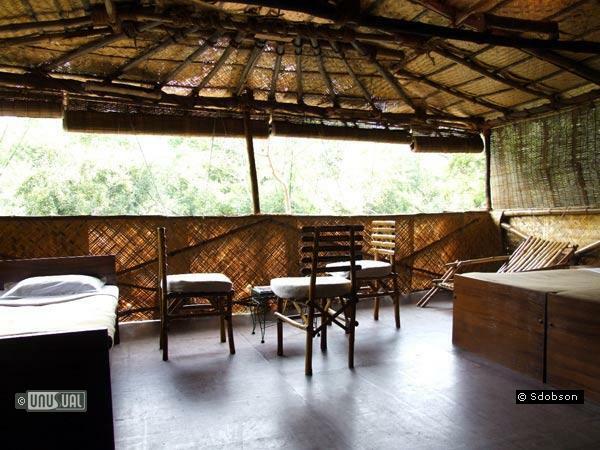 There are also number of cottage suites and a 2 storey annex - the top floor of which has a spectacular view of the mountains. 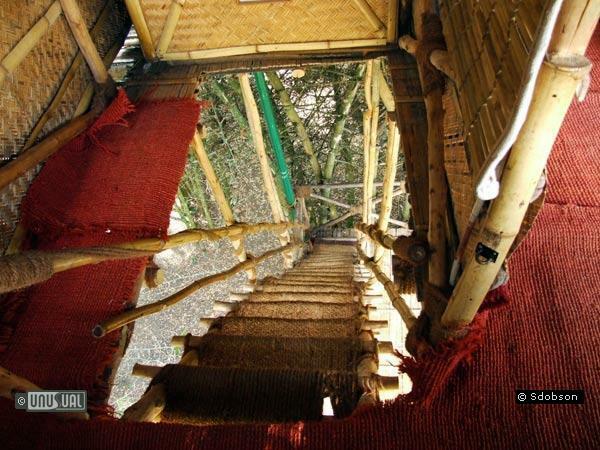 As with all rustic treehouse accommodation, inquire prior to your booking for seasonal info. 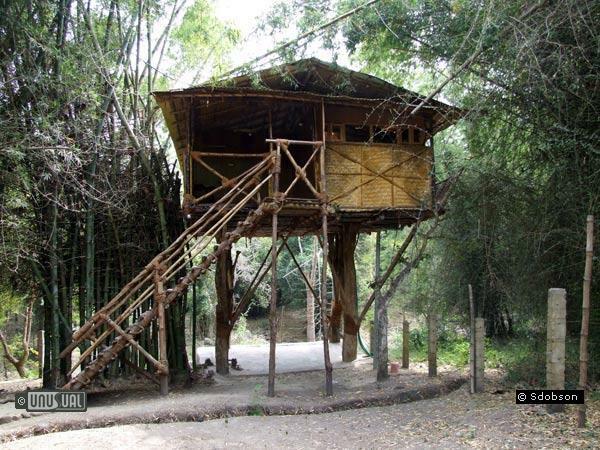 Just after monsoon can give the best animal opportunities, however as there are cottages available on the same site, you might want to ask for the option to reserve one of these in case the weather isn't good enough for use of the treehouses. A number of Free Offers are available for booking introductions made through UHOTW, including welcome drinks on arrival and complimentary room upgrades where availability allows. Trekking, Off-roading in 4x4 jeeps, Safari in forest department vehicles, Elephant rides in the wildlife reserve and Visits to nearby mountain peaks and ancient temples. An evening bonfire with barbecue can be arranged. To complete your trip, consider arriving on the blue mountain steam train, which runs between Mettupalayam and Ooty. The track passes over 26 viaducts, 13 tunnels and numerous bends through the rainforest. The viaduct between Kallar and Adderley is a photographer's delight.